Fungus causes plant distress, wilt and sometimes death of the plant. Many organic and chemical solutions treat plant fungus. A common pantry item, sodium bicarbonate (baking soda), may also help prevent and treat some fungal diseases on plants. As this is a natural substance, it can replace chemical fungicides, offering a safer solution. 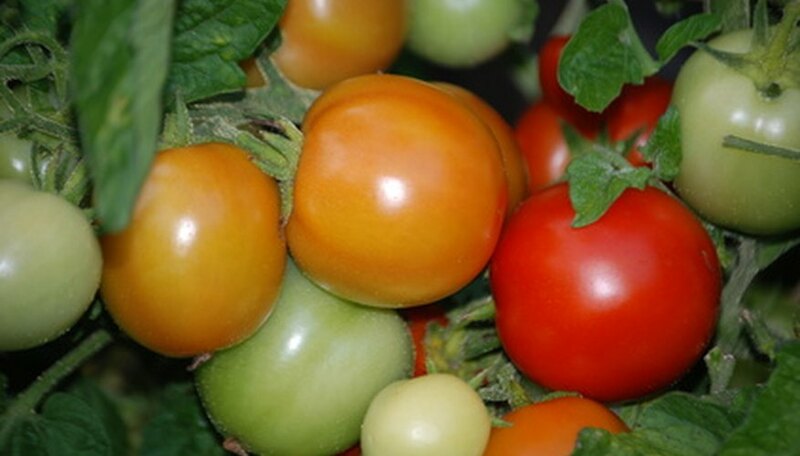 According to GH Organics, sodium bicarbonate may be used as a spray to treat specific diseases such as early tomato blight, powdery mildew, anthracnose, leaf spot and leaf blight. It may also be used as a general fungicide. Many garden plants benefit from this spray--these include, but are not limited to, tomatoes, zucchini, ornamentals and other plants prone to blight or powdery mildew. Houseplants suffering from fungus may also benefit from this fungicide. Plants with fungus show discoloration of the leaves and/or stems. Powdery mildew leaves a fine powder over foliage. Other fungal diseases cause brown, black, tan or yellow spots on leaves. Leaves may wilt and in some cases the whole plant will deteriorate and die. GH organics offers the following recipe for a sodium bicarbonate based fungicide: Add 1 tbsp. baking soda and 2 ½ tbsp. vegetable oil to 1 gallon of water in a garden sprayer. Shake this well to mix and then add ½ tsp. of Castile (olive oil) soap. Spray this on the foliage and around the plant, and cover both the upper side and underside of the leaves. Apply this once weekly until the fungus problem is resolved. Always apply sprays in the cool hours of the day, rather than the heat of the afternoon, to avoid burning the foliage. Connecticut Integrated Pest Management advises that vegetable oils potentially cause plant damage. Oil or a liquid soap are necessary to use with baking soda, however, as baking soda alone does not work on controlling fungi such as powdery mildew. If you plan to use this method of fungus control, spray one leaf on the diseased plants and wait 24 hours to see how they tolerate the spray. Baking soda is alkaline and continued use, therefore, could harm some plants. Always use this or any fungicide with caution, keeping an eye on the plant’s appearance from day to day. What Is White Fuzz Growing in an Herb Garden? Can I Use Bleach on Mildew on Plants?